Super tasty, crispy baked onion rings made with simple ingredients and very easy to whip up. Start by soaking the onion rings in buttermilk, then you toss them with some flour, dip them in egg and coat them with panko breadcrumbs. 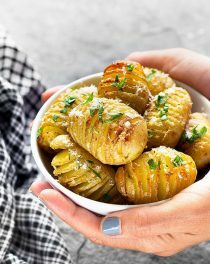 Once you’re done with that, just pop them in the oven for about 30 minutes and you should end up with onion rings crunchy on the outside and tender on the inside. The buttermilk helps to soften the onions and allows the coating to stick better. I usually soak the onion rings for 3 hours, but you could even prepare them the night before and let them soak overnight. If you can’t find buttermilk, add 4 tablespoons of lemon juice or white vinegar to 4 cups (1 liter) of milk and let it stand at room temperature for 5/10 minutes. Panko breadcrumbs are Japanese style breadcrumbs that add a perfect crunch. I use them to coat and bake chicken, and you can get them from asian supermarkets or online. As for seasoning, I just added cayenne pepper, paprika, salt and pepper. 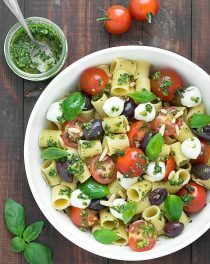 You can get a little bit more creative and add different combinations of herbs or spices. Crispy baked onion rings are great as a side dish, appetizer or snack served with some ketchup, barbecue sauce, mayonnaise, or your favorite dipping sauce. 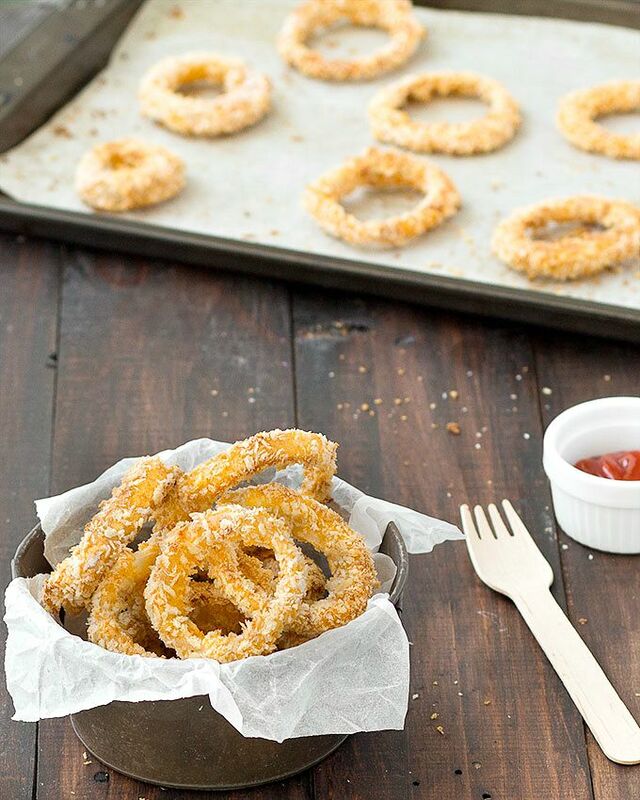 Crispy baked onion rings: an healthier alternative to fried onion rings. These onion rings are crispy, flavorful, and fast to whip up. Peel the onions, cut them into 1.5 cm (½ inch) slices and separate them into rings. Place the rings into a large dish, pour buttermilk over the top, cover with cling film and refrigerate for at least 3 hours. Preheat the oven to 200 degrees C (392 degrees F). Line a large baking sheet with parchment paper. Mix the flour, smoked paprika, cayenne pepper, salt and pepper in a large ziplock bag. Remove the onion rings from the buttermilk and put them into the bag, close it and shake until fully coated. In a bowl, whisk the egg whites and milk, set aside. In another bowl, add the panko breadcrumbs. Dip the onion rings into the egg-milk mixture, then into the breadcrumbs, making sure to coat all sides. 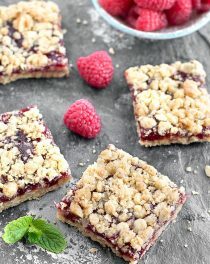 Place them in a single layer on the prepared baking sheet and spray with cooking spray. Bake the onion rings for 15 minutes, turn them and cook for another 15 minutes. 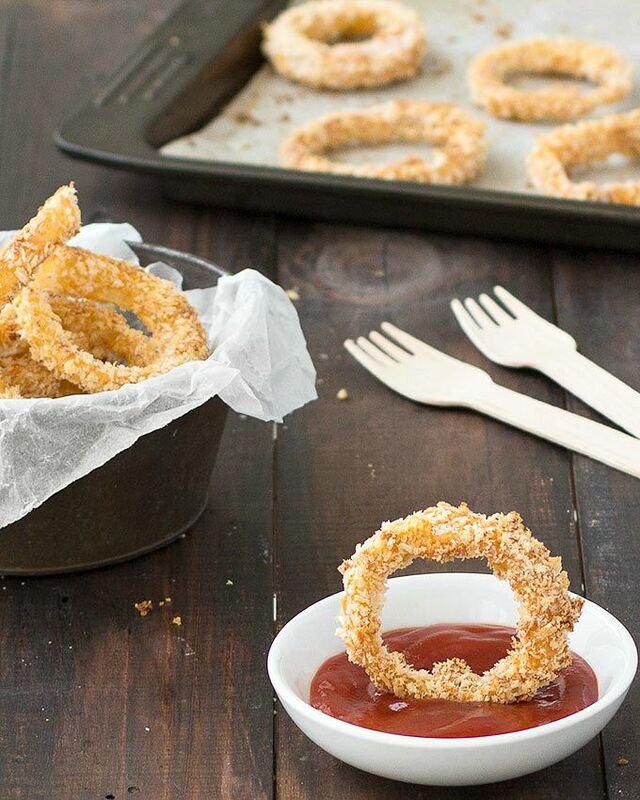 Serve the crispy baked onion rings immediately with ketchup or your favorite dip. 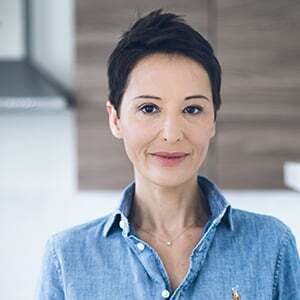 * To make homemade low fat buttermilk: add 4 tablespoons of white vinegar or lemon juice to 4 cups (1 liter) of low fat milk and let it rest for 5/10 minutes at room temperature.